However, One Toyota refused to pay a living wage to some of its employees, thereby violating a tax-subsidy agreement with the city. Bert Johnson One Toyota of Oakland. In May 2013, after the City of Oakland had lost millions in tax revenue and made drastic cuts to services and staff because of the Great Recession, the city awarded a private business, the auto dealership One Toyota of Oakland, a $138,614 retroactive tax break, refunding 20 percent of the city's share of sales taxes paid by the company in 2010 and 2011. This year, enriched by the dealership's lucrative business, One Toyota's majority owner, Brian McCafferty, bought a $4 million mansion in an exclusive gated suburb of Phoenix, Arizona. But One Toyota's executives and city staffers say the city tax break was necessary to keep the dealership in Oakland, and that it benefited the public. The unusual deal, never made public until now, was authorized through a tax incentive program created by the city council in 2009. Under the program, companies intending to establish new locations in Oakland could be offered a reduction of their sales or businesses taxes potentially worth up to $500,000. Proponents of the deal with One Toyota note that the dealership has since grown to more than 150 employees and now generates millions in sales tax revenue for Oakland each year. 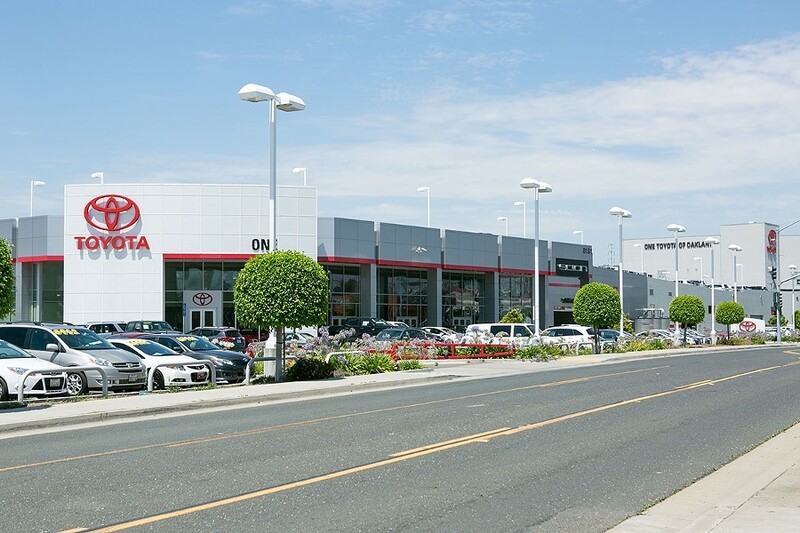 "They're probably the largest auto dealership in Alameda County, generating incredible revenues with over one hundred employees," Councilmember Larry Reid said about One Toyota, which is just off Interstate 880 near the Coliseum and Oakland International Airport. However, records show also that One Toyota failed to comply with key terms of the deal, including Oakland's Living Wage Ordinance and a hiring agreement aimed at creating jobs for Oakland residents. And because the tax giveaway was retroactive, it's not clear that One Toyota necessarily needed the money, or that it was crucial in the owners' decision to locate in Oakland. According to Reid, the current One Toyota dealership building at 8181 Oakport Street sat vacant for several years after a Nissan auto dealer had invested millions in a new building and lot, only to lose it in foreclosure. Several churches expressed interest in buying the building, but Reid said he wanted to see another major business take it over to provide jobs and revenue for the city and his East Oakland district. That's when Brian McCafferty showed up. McCafferty, the owner of Avondale Toyota, a large dealership in the city of Avondale, a suburb of Phoenix, Arizona, purchased the Oakport Street building in 2009 for $22 million — $14 million less than the listed price. He told the Oakland Tribune in 2010 that he bought the property for "pennies on the dollar." A $249,000 public loan from the Oakland Redevelopment Authority to a Nevada LLC formed by McCafferty also helped finance the purchase. Around the same time, Oakland's economic development manager Aliza Gallo sent McCafferty's business partner Bradley Barnett a welcome email that detailed the economic assistance available to businesses locating in East Oakland. The list — which wasn't an offer of assistance, but merely informational — sent by Gallo included various state Enterprise Zone tax credits, but also mentioned that the city council was considering creating a tax incentive program to "facilitate [Oakland's] business attraction activities by providing the ability to offer Business Tax abatement and/or Sales Tax Sharing Agreements." Barnett said his company was taken by surprise by Oakland's business tax rate, and that they had scraped every nickel they had together to open the dealership. "We started looking at other locations to move to," he said. It wasn't the first time that Barnett had bristled at a local tax. In 2008, Barnett, while working at Avondale Toyota, objected to a proposed sales tax increase by the City of Avondale that would have raised the rate on purchases above $5,000 in value from 1.5 percent to 2.5 percent, according to a report in the Arizona Republic. In early 2012, One Toyota's owners started meeting with Oakland Councilmember Reid to lobby for a tax break. Oakland staffers subsequently offered a $138,614 tax refund, equivalent to reducing One Toyota's sales taxes by 20 percent for 2010 and 2011. But in order to obtain the tax subsidy, One Toyota was required to pay the city's living wage to all employees and agree to a first-source hiring agreement to assist Oakland residents in getting jobs, according to a summary of the agreement written by Zach Seal, an analyst in Oakland's economic development department. One Toyota's owners wanted a lot more than that, however, and they didn't want to follow city laws imposed on recipients of taxpayer subsidies. McCafferty wrote in an undated letter to Gallo that he and Barnett had been meeting with Reid, and together they had "discovered" that at the time McCafferty and Barnes arrived in Oakland, the city was "in fact offering a 3 year business license tax waiver, in conjunction with a reimbursement of 50% of the City's portion of our sales tax, also a 3 year incentive." No such incentive program ever existed, and a subsidy at that level would be worth possibly as much as $800,000 to a company such as One Toyota, which sells millions in merchandise each year. McCafferty objected to the city's request that he sign living wage and local hiring agreements in order to receive a taxpayer subsidy, calling them "unreasonable and unnecessary." "We need to have the City Wage Ordinance out of the agreement," One Toyota employee, Kathy Martarano, demanded in a December 2012 email to Gallo (who is the wife of Councilmember Noel Gallo) and Seal. One Toyota also objected to handing over a state wage and withholding report from the city that would reveal employee pay. Oakland staffers pushed back. In an internal city email, Seal wrote that One Toyota's desire to have the living wage requirement waived "raises red flags." Seal asked, "[C]ould they be in violation of the Living Wage or other council-mandated provisions of the Business Incentive Program?" Pressed to provide employee wage information, Barnett disclosed in several emails to Oakland staffers that 15 of the company's 103 employees were paid less than the city's living wage at the time. But Barnett argued that these employees should be exempt from the law because five of them were part-time students, others were in "entry level" or training positions, and because one employee had completed a drug and alcohol rehabilitation program and wasn't the "primary breadwinner" for his family. The city appears to have accepted these arguments, even though Oakland's Living Wage Ordinance provides no such exceptions. In a memo to then-City Administrator Deanna Santana and Assistant City Administrator Fred Blackwell regarding One Toyota's tax break, Gallo and Seal wrote: "[T]he Living Wage Ordinance includes exemptions for students, interns and trainees. All 15 of these employees are either in school or in an entry level/trainee type position such as a greeter or lot attendant. Many of the workers in these positions eventually get promoted to Living Wage jobs at One Toyota." Although Oakland's Living Wage Ordinance does provide exemptions for trainees, they must be in a training program that meets specific city job training standards, or they must be under the age of 21 and employed by a nonprofit corporation or enrolled in an after-school or summer job-training program. Gallo did not respond to an email from the Express asking if One Toyota's employees were enrolled in eligible training programs. Only one of the employees in question, according to letter that Barnett sent to the city, were under the age of 21. And while Oakland's Living Wage Ordinance allows for waivers on a case-by-case basis, only the city council can award such waivers. The council never voted to waive the Living Wage Ordinance for One Toyota. In March 2013, One Toyota's owners signed the final incentive agreement with the city, and it mirrored the city's initial offering of a retroactive tax break of $138,614. But despite One Toyota's objections, the agreement did require the company to pay the city's living wage, and make efforts to hire local residents, in addition to submitting quarterly reports on these hiring efforts. However, the city appears to have not enforced these requirements. Over the tax incentive agreement's five-year term (retroactive to 2010) One Toyota continued to pay some of its employees below the city's living wage. 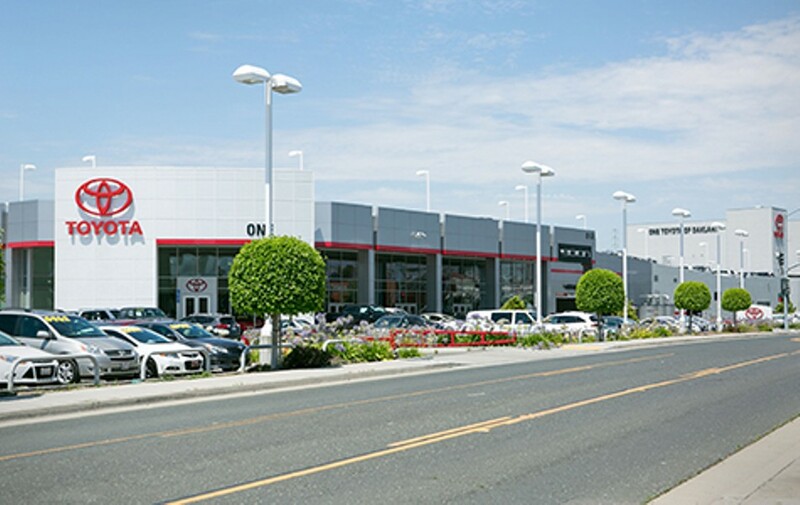 While One Toyota has hired Oakland residents, according to Gallo, the dealership did not submit First Source Hiring Agreement quarterly reports to Oakland as required. Furthermore, the hiring agreement mandated that One Toyota post jobs on the state-run website CalJobs.org. According to the workforce services division of the California Economic Development Department, which runs the CalJOBS.org website, no job has ever been posted by One Toyota. But Oakland staffers maintain that the deal benefited the city's residents by securing long-term tax revenues and jobs. "At the time the agreement was signed, One Toyota employed 97 workers, 26 of whom were Oakland residents," wrote Gallo in an email. "Today, One Toyota employs 156 workers, 41 of whom are Oakland residents." "For the entire 2014 calendar year we paid over 7.8 million in sales tax," said Ron Gerhard, One Toyota's chief financial officer in an interview. "Approximately three million went to City of Oakland."